Me, one of the world’s great defenders of the fruit beer, is finally fed up with fruit beer. 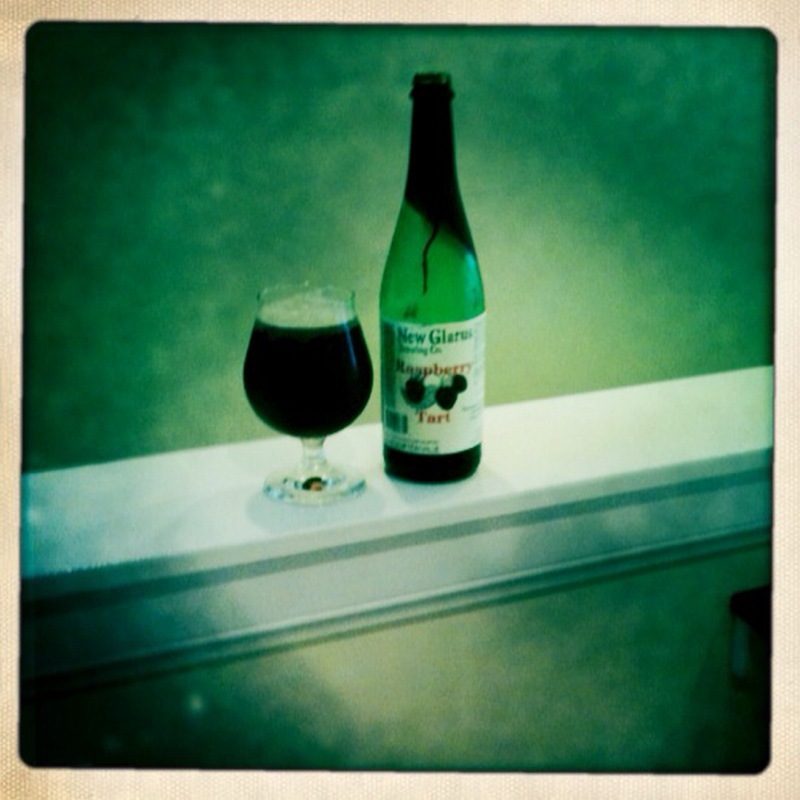 The unlikely catalyst is a brewer who is considered to be the United States’ finest exponent of the fruit beer craft – NEW GLARUS BREWING, from New Glarus, Wisconsin. I was positively ecstatic to receive a bottle of the RASPBERRY TART ALE in a trade with Aaron from the Captain’s Chair blog some time ago, and thus I saved it for a very, very special occasion. That’s right: Monday Night, May 17th 2010. I busted it open and got ready to party down with the #60 highest-rated beer in the world on Beer Advocate, the quote-unquote gold standard of the beer doofus sites. I was ready for something supremely out of this world; when something makes the Beer Advocate Top 100 and is not clocking in at about 10% alcohol, it’s probably pretty goddamn special. And then I tasted the beer. And lo, it was wrong – very wrong. 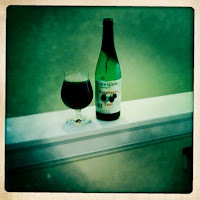 My 6-year-old son asked me if he’d enjoy the taste of NEW GLARUS RASPBERRY TART. Well, since it tastes like a fermented Trader Joe’s juice box - sure son, drink away. All the fruit with virtually none of the beer – and this juice just coats your throat with a sticky, wet, cloying raspberry taste that may well be a successful mixture of sweet and tart, but it’s like nothing I’ve ever had before in a beer. Seriously, something like DOGFISH HEAD APRIHOP is a true delicious spring/summer ale, a hoppy apricot beer made with care and attention to getting it right. This thing is still, sticky, salubrious and salacious. I don’t even know what those last two words mean, but I do know I’m treading lightly around fruit ales for a while. About the only good to come of my time with it was this photo, courtesy of an iPhone app called HIPSTAMATIC that zaps your photos back into the 1970s, long before there were any “artisanal raspberry beers” on the market.